Chrome hand control set for your Raider with the best plating in the US. 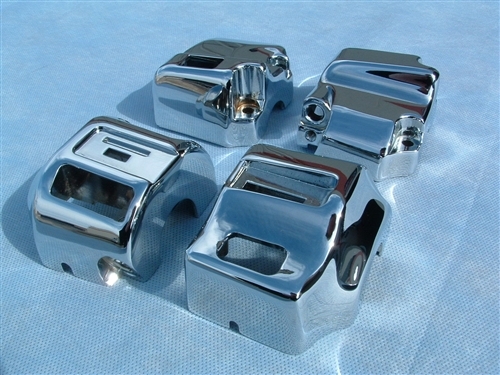 The smooth lines from the contour of the design of these parts look awesome when accentuated by our "wet chrome" finish. 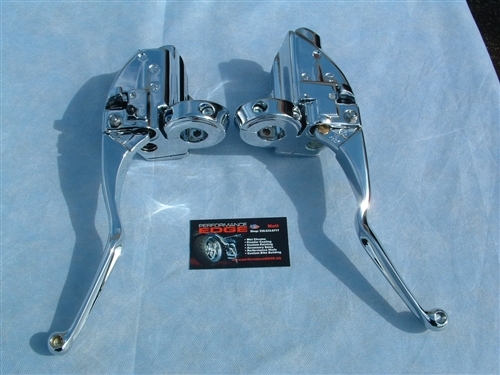 Master cylinders and switch control housings, all included in this price. 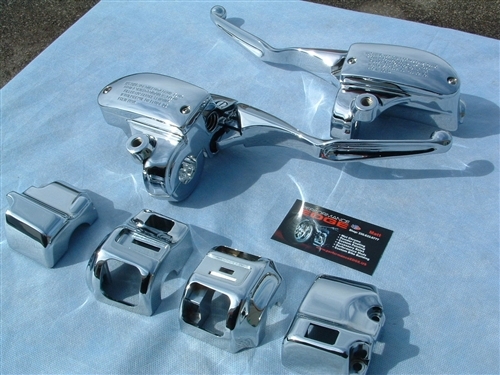 Your Raider hand control set is carefully disassembled, chrome plated using our "wet chrome" show finish, cleaned, then reassembled for you. 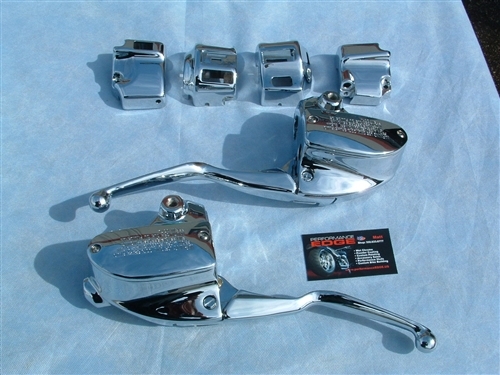 Labor is included in this package.